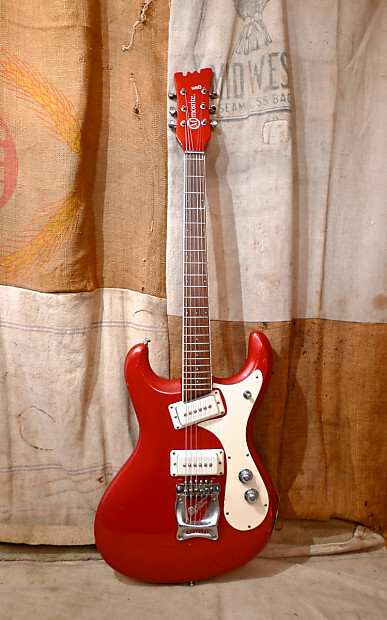 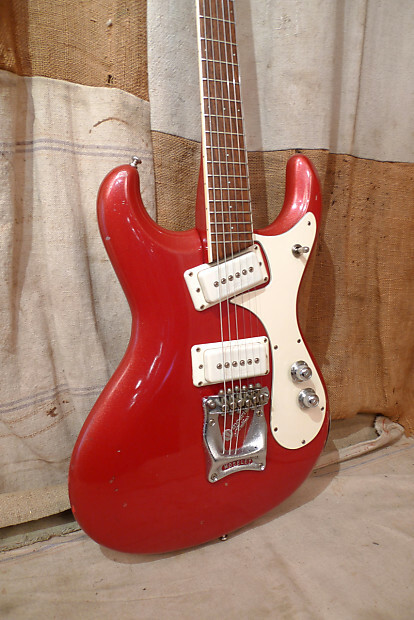 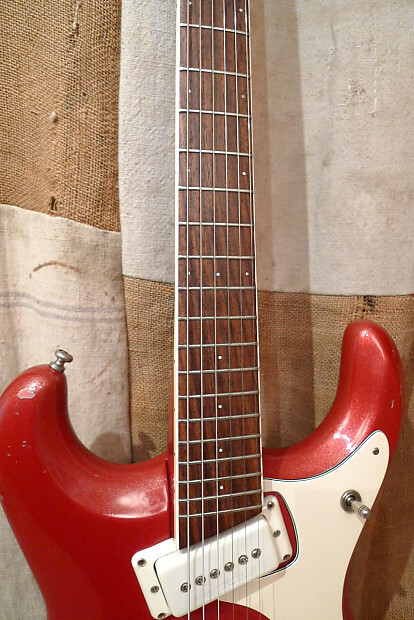 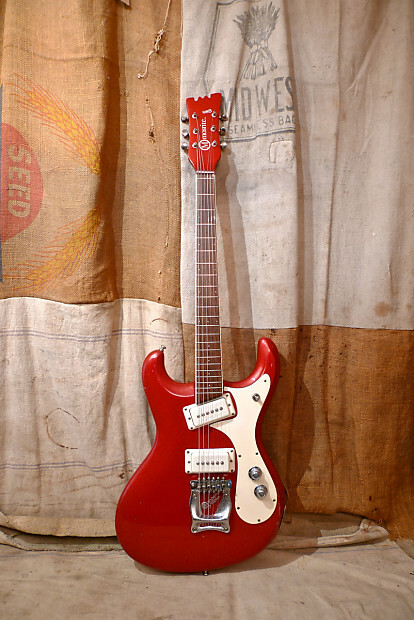 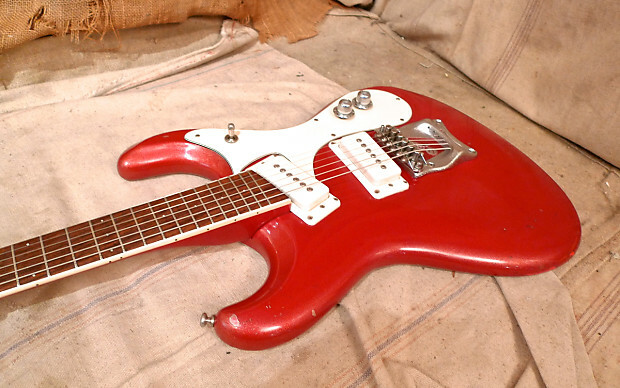 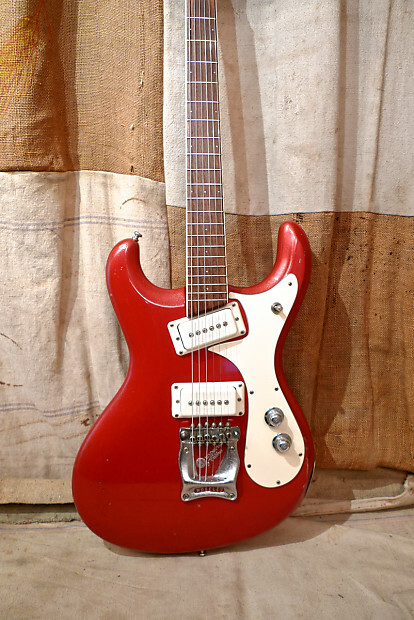 This Mosrite was made in the USA in 1988. 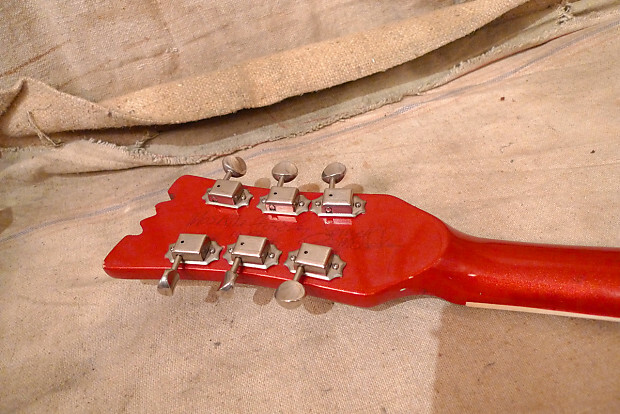 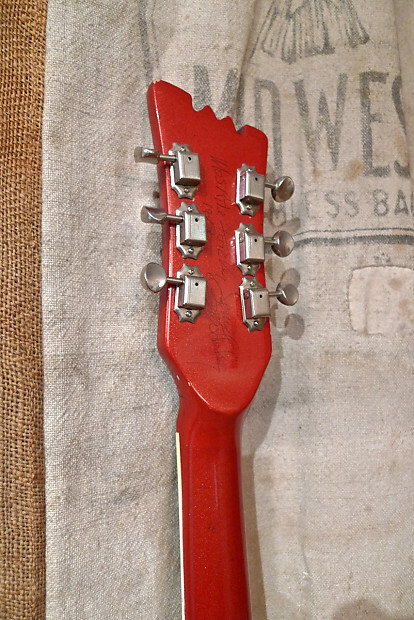 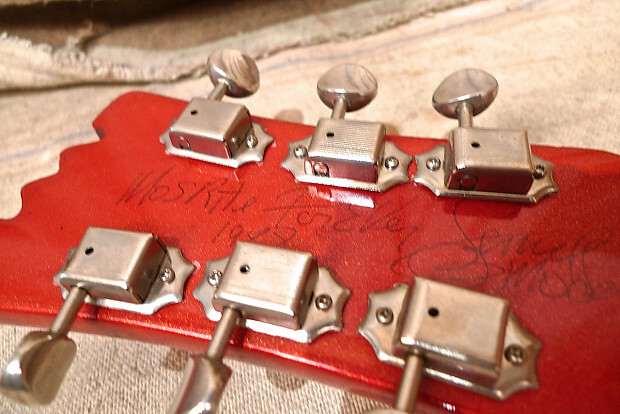 Signed by Semie Moseley on the back of the headstock, and "Mosrite Forever" as is standard from this period. 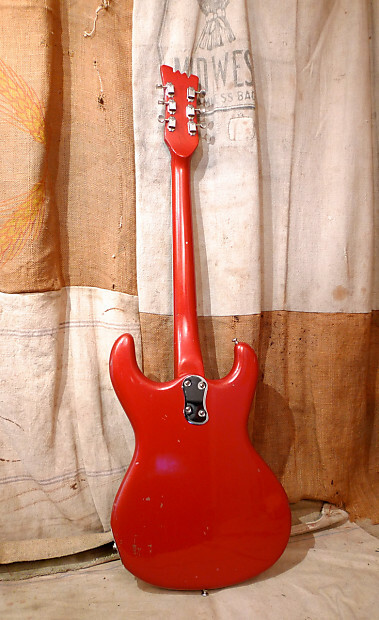 The pots are cheap import pots that may or may not be original. 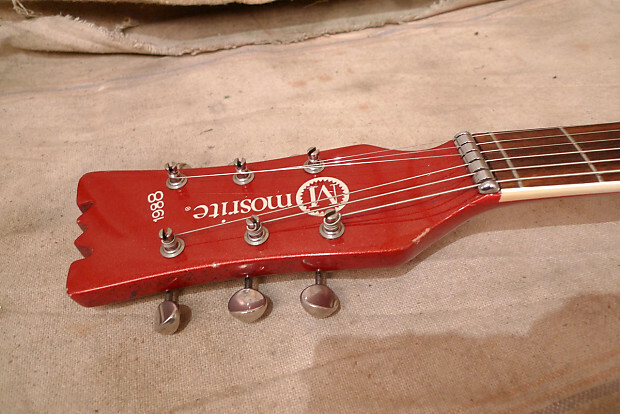 Otherwise everything is original. 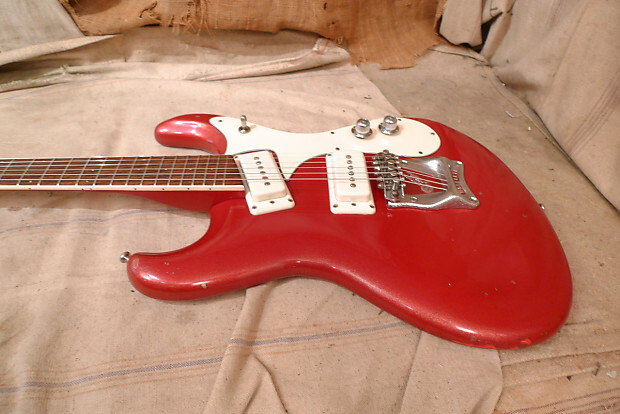 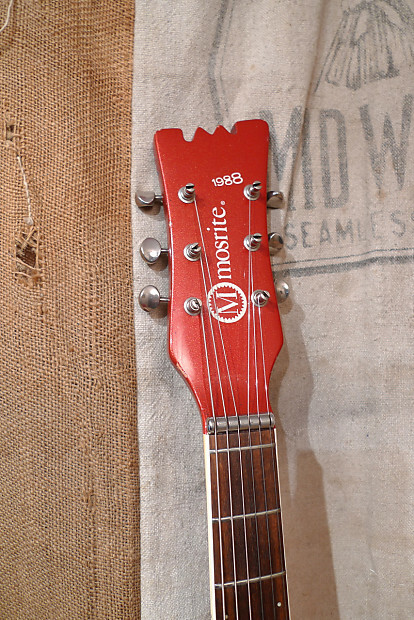 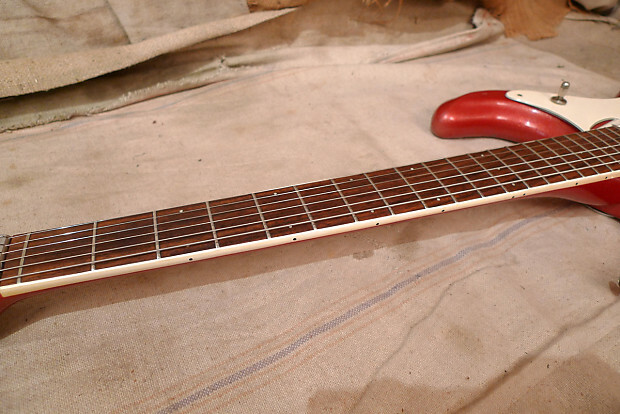 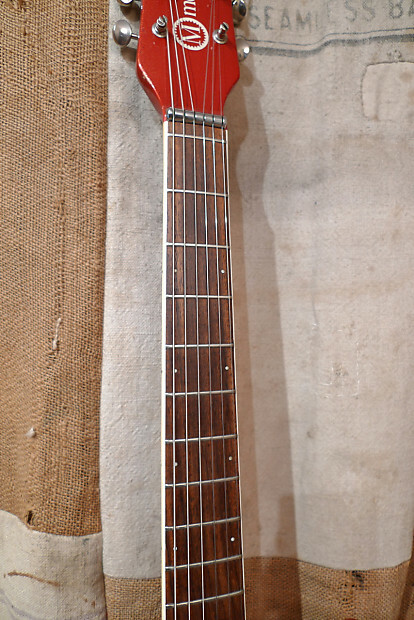 Its hard to see in the pictures, but the guitar has a very cool sparkle red finish. 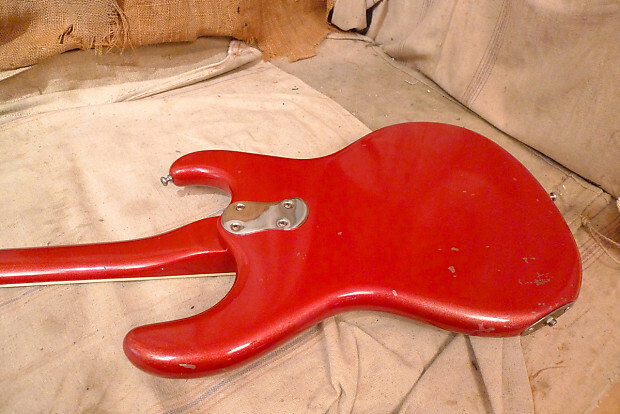 There is some normal wear but no damage. 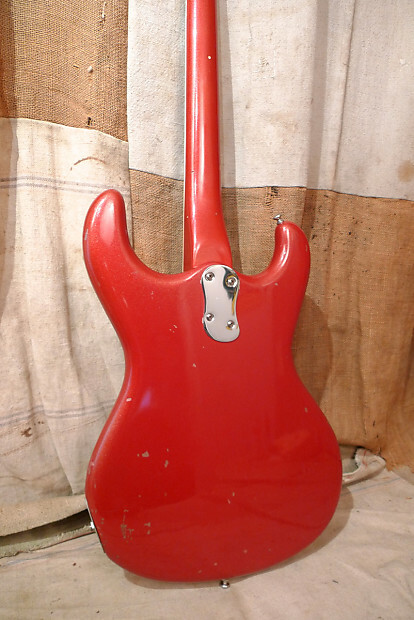 It comes with a non original hard case.